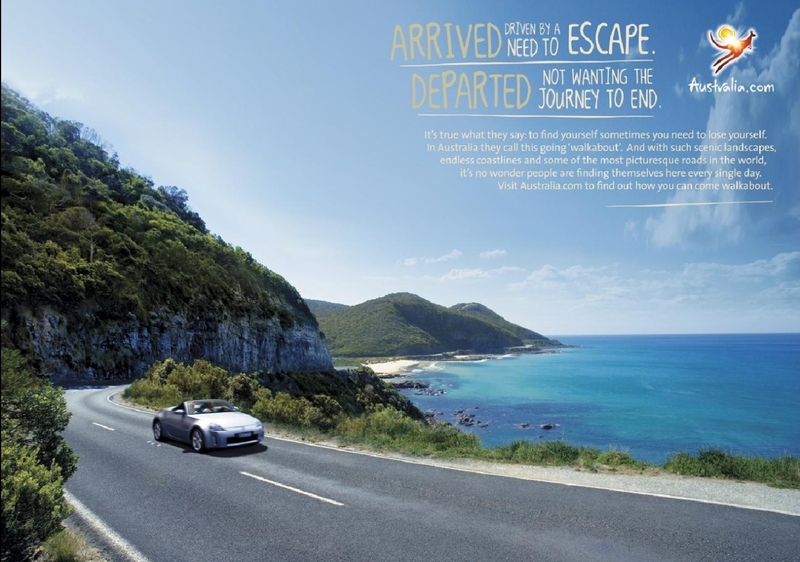 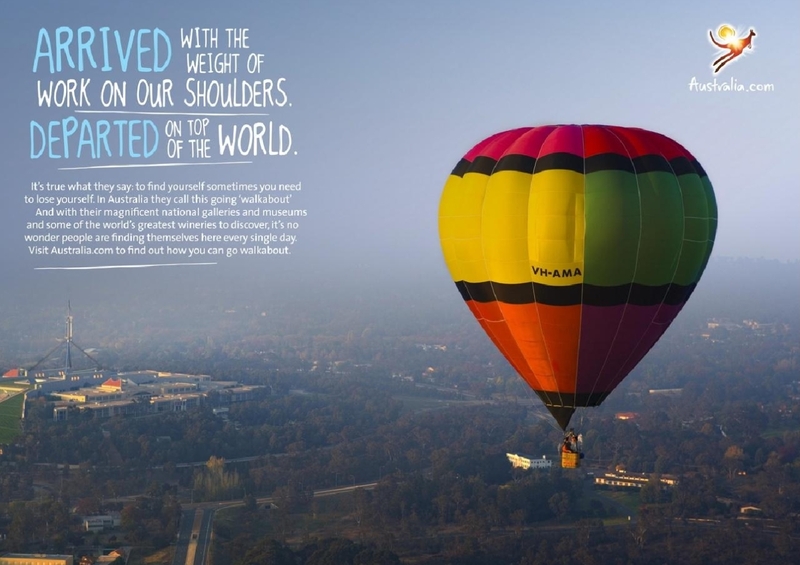 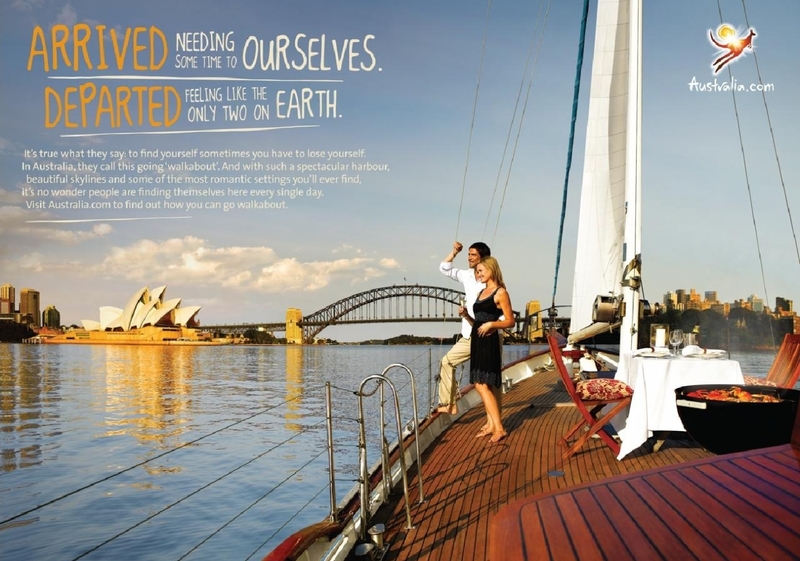 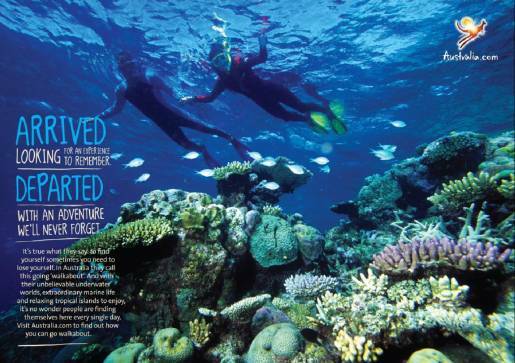 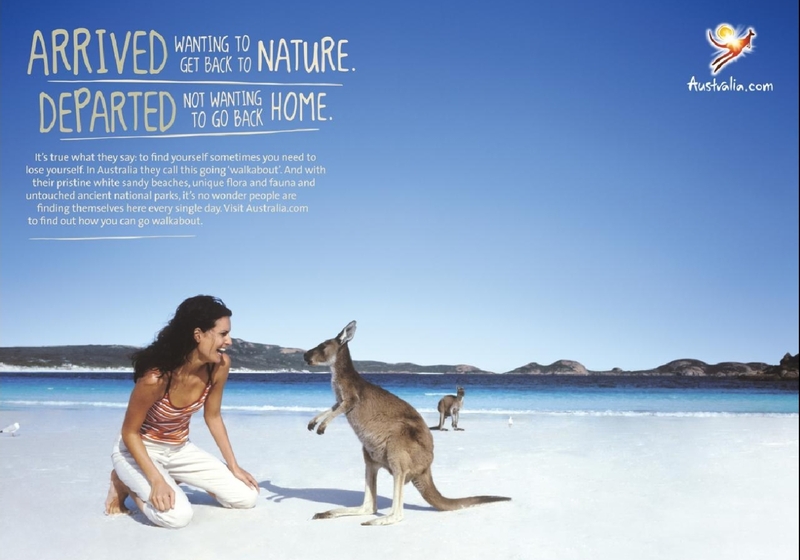 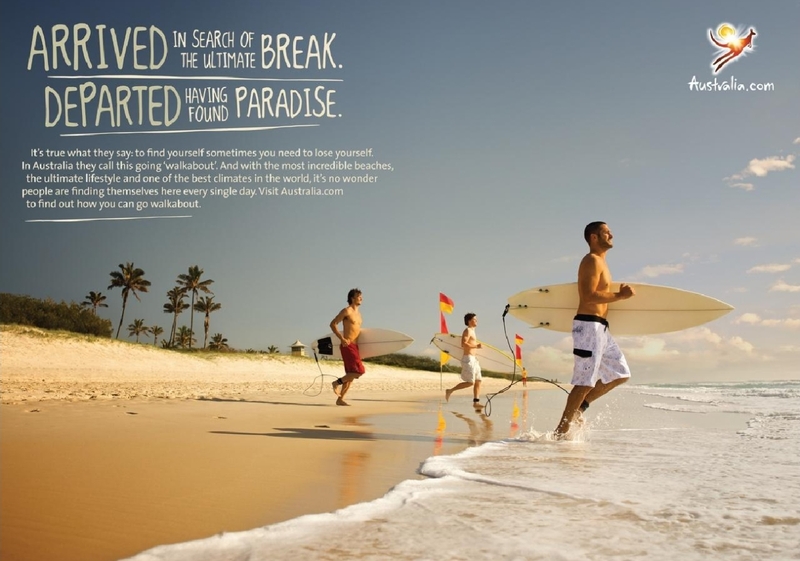 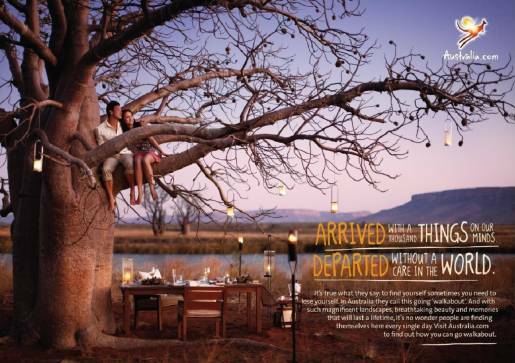 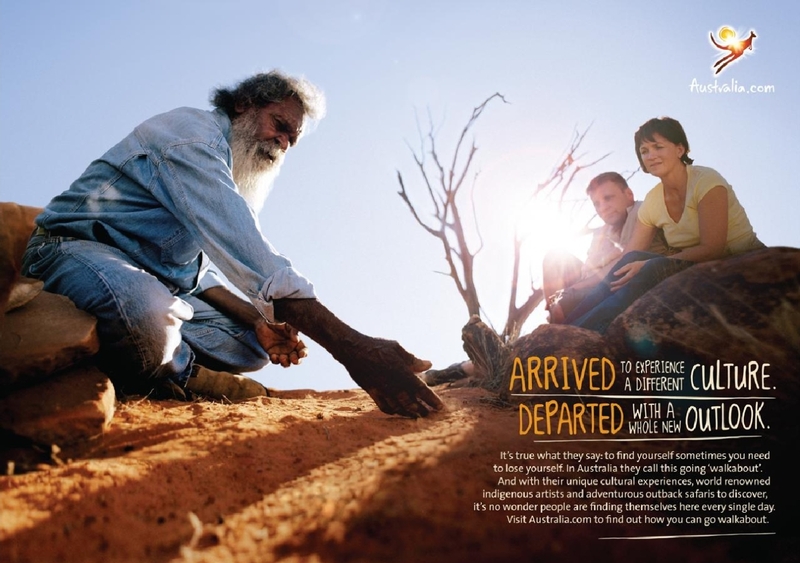 Tourism Australia has launched a series of posters connected with the television and cinema commercials produced by Baz Luhrmann. While the two short film-styled advertisements build excitement and emotion and provide a link to the movie, print and rich digital channel executions allow the stories to be played out and the ‘walkabout’ theme to be expanded. These elements also embrace the ‘walkabout’ concept and have been designed by Tourism Australia’s new creative agency DDB to align with and add depth to the Bazmark short films. 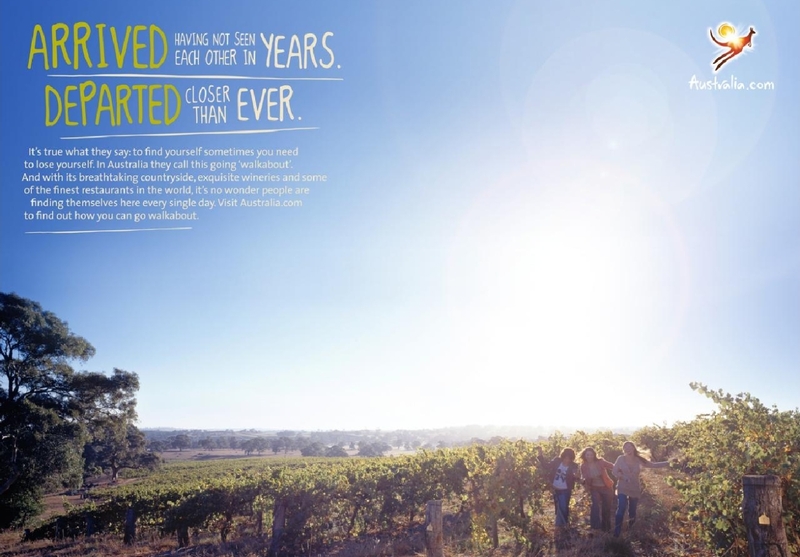 They continue the story line that has been set by Bazmark by exploring how an Australian experience has the ability to change your outlook on life. 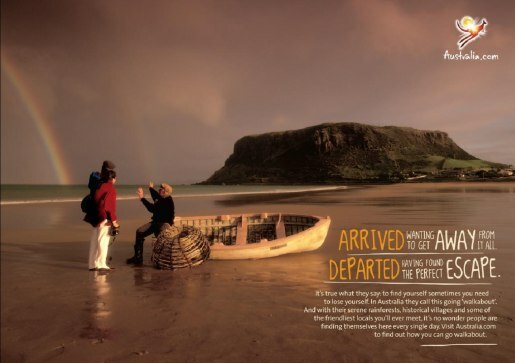 The “Arrived and Departed” strap-line captures this emotion and the use of a series of stunning Australian landscapes from each State and Territory powerfully delivers this message. The first of the eleven connects directly with the Shanghai spot, Baob.